The world of local multiplayer games has blown up these past few years, which isn't the way many expected things to go with the ease of online multiplayer. Joining those ranks of games is Demons with Shotguns, a co-op arena brawler where you and a friends make your way through angels, demons, and other humans in order to claim all the souls. 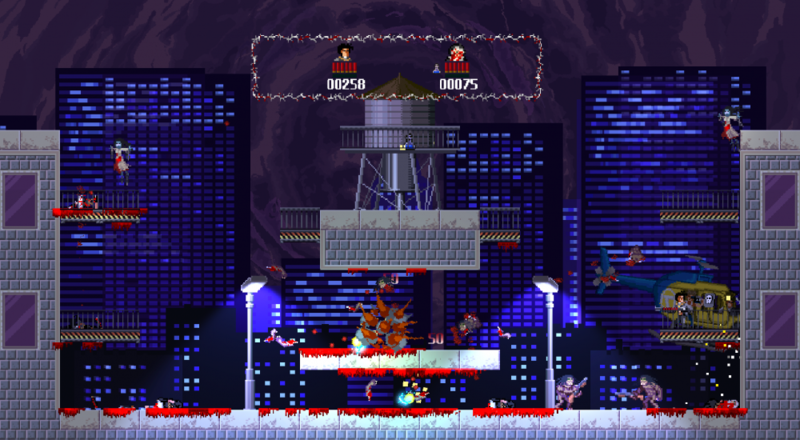 Though the title is mostly focused on its competitive modes, there is an Endless Mode that supports two players locally. You and your friend will team up to fight off the hordes of Nephilim that are attempting to bring about the end of the world. The further you progress, the more arenas you unlock, eventually culminating in facing off against a boss. Demons with Shotguns is currently available via Steam Early Access for $7.99. Page created in 1.7007 seconds.